I adore my baths, I can spend non advisable amount of hours in the water the only issue is I always need to use bath salts for a few reasons, I love the way the salt can soften up the water which is needed in hard water areas like mine. 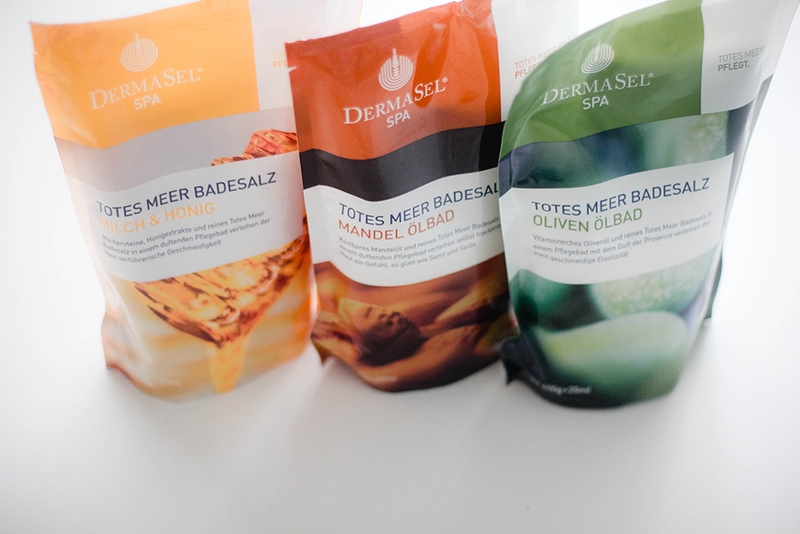 The benefits of sea salt baths help to hydrate the skin, increase moisture retention, stimulates circulation, detoxifies the skin promotes cellular regeneration. Also it helps to heal scaling, irritated and dry skin. If you have issues with muscles / joints sea salt baths also help to reduce inflammation, relax and relives pain & soreness. All these products above contain sea salt, yes even the shower gel & moisturiser. 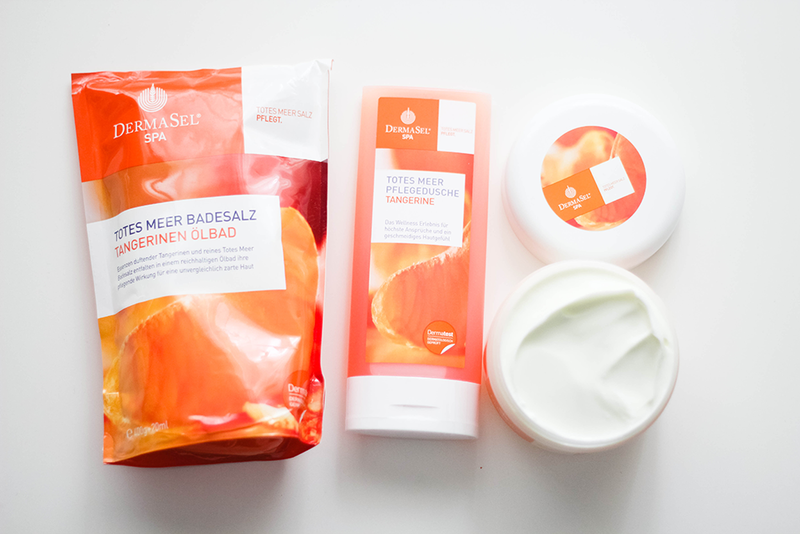 These salts and bath sets come in different "flavours" so to say, as you can see I have the Tangerine care set but the bath sets that contain 3 x 400g of different salts which is honey, almond & apple. Also inside you get a sachet of the salt flavour/scent oil. They do have different sets, think it would be great if you could choose your own 3 to have. I thought I'd find that the salts would be overwhelmed with a citrus sensation but there's not much of a smell to them, the moisturiser is thick & creamy has a faint tangerine smell but nothing that you could really detect if you didn't know to be honest. You don't want to use a lot of this moisturiser because the skin can feel sticky as it takes more time to absorb but use a little it absorbs a lot better. Honestly I'm not sure if I'd use this again. The shower gel gets a good enough foaming but due to the fact it does contain SLS - I didn't use this much only because I've noticed that my skin doesn't take well to SLS products, feels more dried out. Or maybe these take your fancy? I know you saw the blog post already, but defo buy Rub Rub Rub from Lush, if you like sea salt I think you'll love it. Theres also a different version called something else, but I haven't used it. I think its more natural but yeah, have a browse! Have you tried the lip scrubs from Lush? They're sea salt too I believe. Did you pour all 400g of salt during one bath? I bought these as well and on one of the packages says to use all 400g in one bath which seems a lot, just curious if you did the same?